Good morning, Alicia here today. This little guy from Frantic Stamper looks very much like my dog Sparky, except Sparky is black. I previously created a project with Sparky here. I just can't get enough of these cute puppies. I wanted the dog to have subtle realistic details so I did some shading with inks to give him more depth. I also added glossy accents to the eyes and nose for texture. 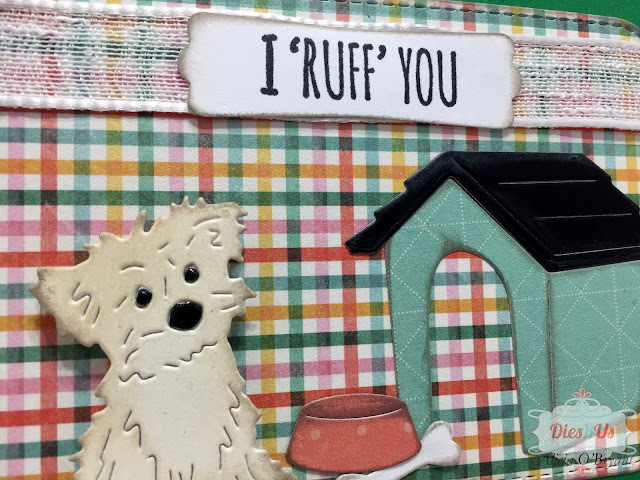 I layered my pup on some super cute plaid paper cut with Frantic Stamper Stitched Rounded Rectangles. I then added a Frantic Stamper Dog House and some of the Frantic Stamper Dog Accessories. Oh gosh this is so darling! Love that sweet little pup and all the things you've found to go along with him. Cute! Cute! Awe... this is so cute and adorable. Great masculine or Valentine card. OMG Alicia this is SO DARN CUTE!!! So super cute! Makes a great Valentine card for that special boy in your life! Oh he is the cutest! Yes, he does have more depth, simple and effective technique! 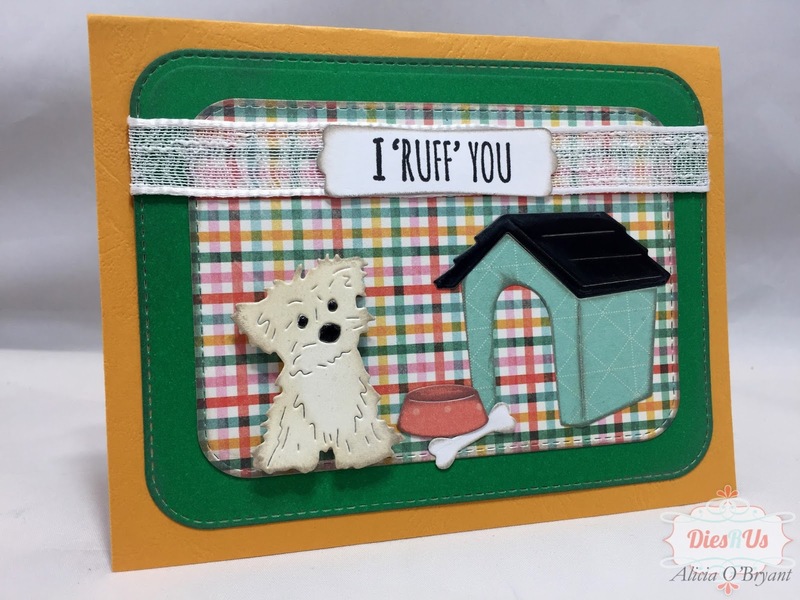 I do love his little doghouse too and your overall design! Woof!